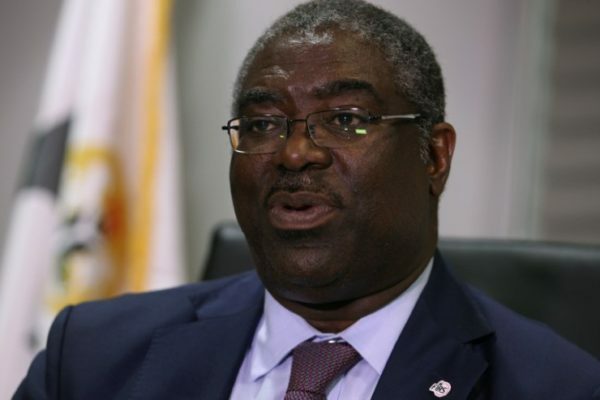 The Federal Inland Revenue Service, FIRS, re-wrote Nigeria’s collection history in 2018, with a record ₦5.320 trillion collected in taxes, beating the 2012 record of ₦5.07 trillion. Tunde Fowler, Executive Chairman, FIRS, who made the announcement in Lagos today at a retreat: “Parliamentary Support for Effective Taxation of the Digital Economy” said it is targeting ₦8 trillion for 2019. FIRS’ generation of ₦5.3 trillion is significant as it was at a period when oil prices averaged $70 per barrel. Oil price was at an average of $100 to $120 per barrel between 2010 and 2013. Non-Oil component of the ₦5.320 trillion is ₦2.467 trillion (53.62 per cent), while oil element of the collection is ₦2.852 trillion (46.38 per cent. From audit alone, FIRS collected ₦212,792 billion from 2278 cases with a huge reduction in audit circle. “The Service has been making tremendous efforts in also increasing the amount of non-oil revenue it collects. Non-oil collection contributed 64.99% in 2016, in 2017 it contributed 62.25% and in 2018 it contributed 53.62%. This represents the government’s focus on increasing non-oil sources of revenue and the diversification of the Nigerian economy. Fowler reiterated the fact that only companies that made a profit are obliged to pay taxes. According to him, if a company is situated in Nigeria it is only fair that it pays its fair share of tax for the benefit of all Nigerians. The Executive Chairman also stated that various initiatives were implemented by FIRS to enhance tax administration and make taxation as easy as possible. FIRS deployed ICT initiatives that enable a taxpayer to pay taxes from anywhere in the world, at any time. With the e-payment channel one can pay taxes with the click of a button and one can also download their receipts. Other e-Services are the e-Registration, e-Filing, -Stamp Duty and e-Tax Clearance Certificate. “Amongst others, there is also the Government Information Financial Management Information System (GIFMIS), which links FIRS to the Office of the Accountant General of the Federation OAGF for real-time exchange of information and data. We are also automating the payment of VAT by states through the State Offices of Accountant General Platform (SAG). This will ensure that we aautomate and deduct at source and remittance of VAT and WHT from State governments contract payments directly to FIRS’s account and so far, collected 13bn”. “Auto VAT collection in key sectors has also facilitated in reducing the cost of compliance. Between January, 2017 and December, 2018 VAT collection increased by 31% which translates to a collection of ₦25 billion. Overall, in 2019 VAT crossed the ₦1 trillion mark. Indeed, VAT is the fastest growing tax type in the world and even rich countries that did not depend on taxation have now introduced VAT, like the United Arab Emirates. “In 2016 FIRS initiated a tax amnesty programme which attracted over 3000 applications for waiver of interest and penalties. The programme resulted in payment of over ₦68 billion out of about ₦96.2 billion liability established by the exercise. The Voluntary Assets and Income Declaration Scheme (VAIDS) was initiated by the Federal Ministry of Finance and the FIRS received over 5122 applications under the Scheme. The Scheme resulted in voluntary declarations of over ₦92 billion, with over ₦54 billion paid so far by companies. Fowler also explained how FIRS ascertained whether those companies with banking turnover of N1 billion are tax compliant or not. He said, “FIRS wrote to all commercial banks in May 2018, requesting for a list of companies, partnerships and enterprises with a banking turnover of N1 billion and above. This activity was aimed at ascertaining those companies that are compliant with the tax laws and those that are not compliant. So far, non-compliant organisations have paid about ₦21.75 billion.